Winterim ends. Spring Break begins! 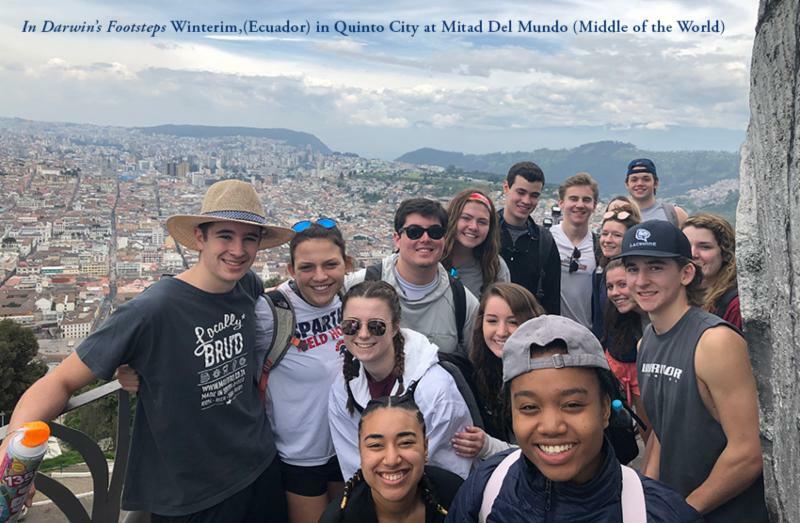 We're all hoping to see you tonight at Winterim Wrap-Up (5:00 - 6:00 p.m. on Friday, March 15) to experience just a taste of what your students have been up to during the two weeks of the program. See you in the Gray Building! Today, March 15, concludes LA's "Days of Giving." Reminder, for every donation given, a good friend of LA will give $50 for every 100 gifts made during this time frame. Please be a part of our community's Days of Giving! Online orders for the 2019 Lawrencian Yearbooks close on April 1. Save The Date: Class of 2022 Parents' Pot Luck Dinner, Thursday, April 11. Hosted by Eileen and Tim Madigan (Margaret ’15, Thomas ’19, Molly ’22) in Groton. See invite for details. Don't miss our Parents’ Association program with a panel on Managing Stress and Social Pressures, Saturday, April 20, at 10:30 a.m. After the program stay and enjoy a PA lunch before afternoon games. Grandparents' Day is April 24. Click here to submit grandparent contact info, so that we can be sure to include them on the invitation to this special event.